I don’t know about your location but the weather has been quite unpredictable in this side of the world. Many weather experts expected a tough winter for us this year. But we seem to have jumped over that season without any major snow. Those of you who travel around the world know the importance of checking the weather all the time to avoid any surprises during your trip. 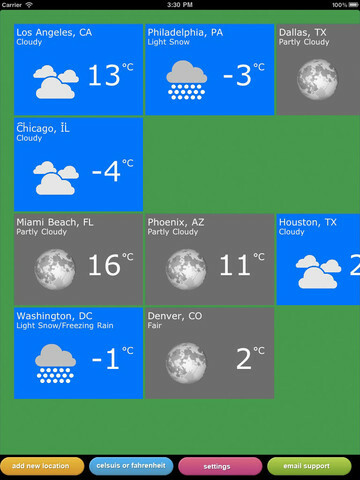 Metro Weather is a cool app that lets you track the weather in multiple cities on your tablet. The app provides support for over 200k locations. It covers 6 day forecast, current weather, and other useful weather information on cities you are tracking. 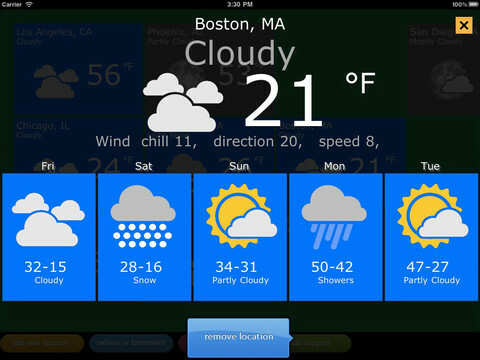 Metro Weather is quite colorful and displays weather forecasts in a hard-to-miss fashion. You can add new locations to the ones you are tracking. Users get to switch between Celsius and Fahrenheit. Metro Weather is not the most sophisticated weather app we have tested. It does make tracking multiple locations easy. Better forecasts and more sophisticated weather analysis tools would make this app a whole lot better.